Discussion in 'Sager and Clevo' started by j95, Mar 23, 2018. Driver package contains Realtek UAD, Clevo EQ and Creative extensions. Otherwise, download modded version for Clevo models not listed above. 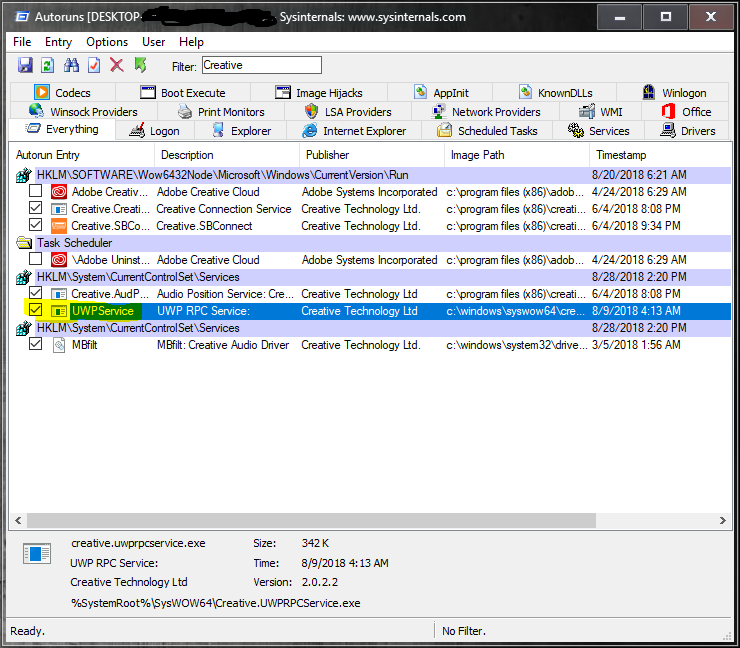 Uninstallation: kill "Creative.UWPRPCService.exe" with task manager then uninstall Realtek Audio under Programs & Features (Control Panel), delete Creative's entry "UWP.service" with Autoruns (as admin). andrewff2, Ashtrix, KY_BULLET and 5 others like this. I'll record the differences with my podcast mic instead of my phone mic to give people the best idea. Disregard missing MIC above...experimental sBIOS mod. Silent install method, wait 15-20 sec before rebooting. Clevo models only. Will it work on a W650KK/KJ1 ? I hope the point is to improve audio quality, I'm about to work on it, review with podcast mic recordings will be up today I think. Also it should be, yes. So I downloaded the mod and installed everything according to the guide. I could notice that I got a new funny dolby tab open and saw that the driver date was as on the picture in the OP. I turned my notebook on and noticed that the sound was really weird. Very unbalanced and there seems to be a slight emphasis on the subwoofer. I proceeded to download the Equalizer APO and set everything up as good as I could. The sound was improved by quite a bit. I only spend around 30-40minutes on fiddling with APO so I think people can get better results in the end. So how was it? I took a youtube video with a cover song from one of my favorite animes of all time and recorded it due to copyright issues. I took a podcast microphone and put it on all 3 tests exacly 30cm on the exact same position on the table with the notebook to ensure you also get the idea of the volume. I set all volumes to 100% and started recording, the reason for this was because all 3 tests had a different max volume. The stock driver was louder than the modded + APO, but the speakers were less tinny and much less ear damaging. I swear P375SM-A speakers on max volume actually give you a headache. The mod gives a more full tone, although still not really perfect. Also I noticed that the sound was a little bit unbalanced, maybe i messed up a bit on the settings in APO, but the bass on the subwoofer was a bit to much compared to the normal singing, it "popped" a bit to much to my taste compared to the rest of the sound. The mod + EQ is still no masterpiece and still far from perfection (hence i included a version from my custom drivers) but in the right step. Maybe someone can build more on this. The customizability of the mod allows users to fix some issues, despite not being perfect imo it beats stock drivers + SB by quite a bit and people should give it a shot. You might want to try this mod! So the EQ was better than expected! You were right, it did actually do better than I thought. AHMED KARAM and j95 like this. I feel like it hasn't improved sound quality that much over stock + my Equalizer APO settings, but has crippled the sound when listening on headphones. My video basicially showcased that as well. It's still an improvement, however the headphone part is important. Unlocked DHT, DDL & DTS. Please post HWIDs, OP "supported models". Sounds like you've enabled DHT, try unchecking DHT. It works pretty well w/ P870DM2/3, unlike my P870DM. Stock and modded driver versions? AHMED KARAM and jaybee83 like this. Drivers 6.0.1.8295 (downloaded here http://www.clevo.com/en/e-services/download/ftpOut.asp?Lmodel=W65xKK1/W65xKJ1&ltype=9&submit=+GO+) don't give any audio output. 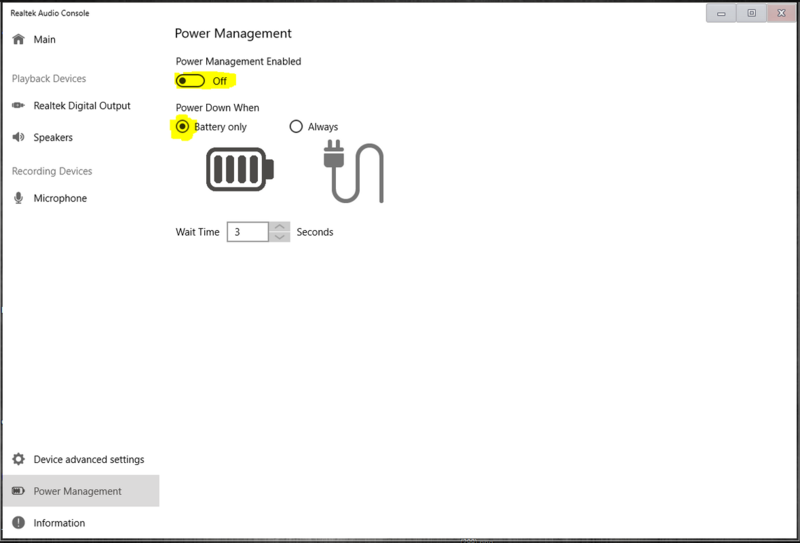 Device doesn't report any error in device manager and sound control is present in the taskbar but Windows is not able to produce any sound. Tried most recent generic drivers (through station-drivers) and they don't work either. I've uninstalled Sound Blaster Cinema 3, maybe it causes some kind of conflict. I don't see my HWID in your list though.